As much as it is mocked by people, this is actually not a bad question! Although it can be difficult to answer, because it's not what the brush is that makes it great, it's what you use it for. That said, the tool you're using is still a critical part of what you accomplish: saying good painting is not about the brushes is like telling the mechanic that fixing the car isn't about the wrenches. 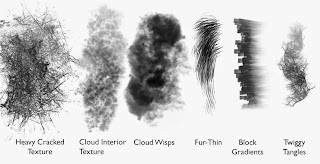 I definitely learned this when I switched from Painter to Photoshop a couple years ago: I felt suddenly inept as a painter using all these clunky, awful brushes. This is when my long search for great brushes began. The last time I posted some of my brushes, they were all in CS4. 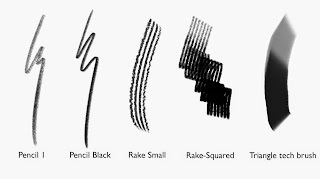 I've had various requests for my CS6 brushes, but I've hesitated to post them because my toolset was getting so large and unwieldy. I've found a way to organize them now that will hopefully make sense. Some of these are my favorites out of these collections, or from Chris Wahl's sets. His spatter and inking brushes are especially great, so if you like the ones I picked, I'd recommend you check out his full sets. The rest of the brushes are either heavily customized or created by myself. I've been using and modifying a lot of brushes from the Kyle Webster Megapack lately also, which is absolutely worth the money, especially if you do a lot of inking. So my new idea for organizing brushes is to put different categories of brush into separate toolsets, separated according to the type of work that needs to be done. Then if you use "Load Tool Presets," you can append however many preset groups you need. If a set gets too large then I have the option to break it into even more specific categories. 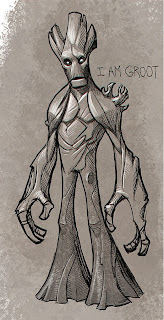 This makes finding the brush I want while I'm painting faster and easier. Here are my current categories. The title of each has the link to the brush download. 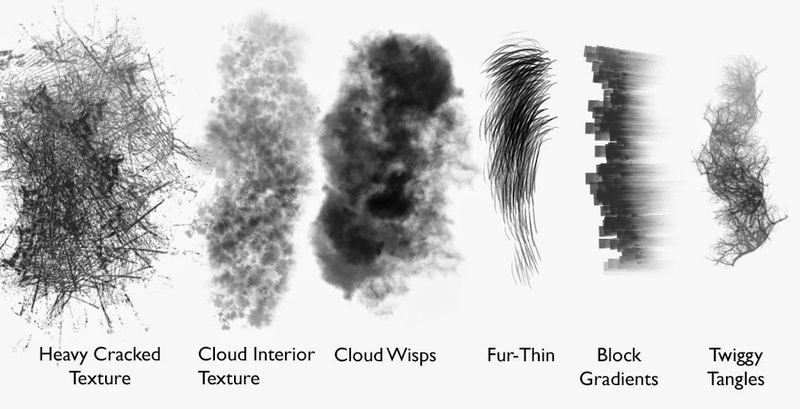 You load these up from the Toolset menu, not from the brushes menu! 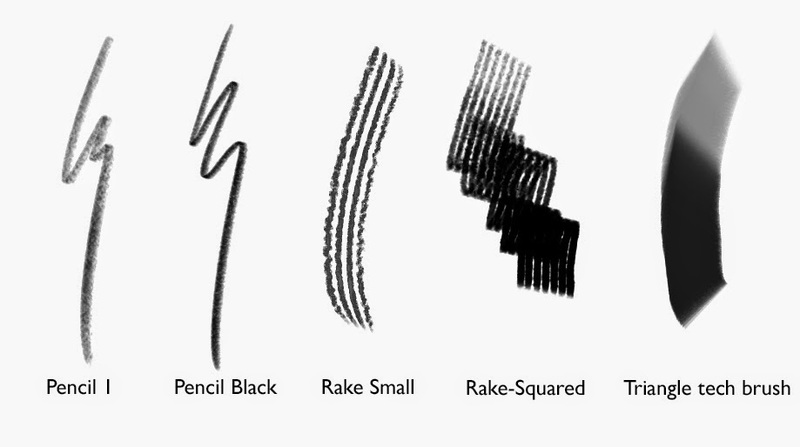 This brush set is mostly drawing brushes, but it includes some other tools I use all the time, like the rounded eraser and the Smudge Nice tool I created. The idea is to keep this set loaded and append the others to it. 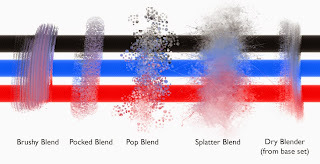 You'll notice that I use the tilt function a lot in my brushes---you'll need a Intros 4 or higher model to see what these brushes are really meant to do. I add this set in when I'm past the sketching phase and ready for painting. The occlusion brushes are a quick and dirty way to paint ambient occlusion around edges of objects. Again, you'll need the tilt function to use it. 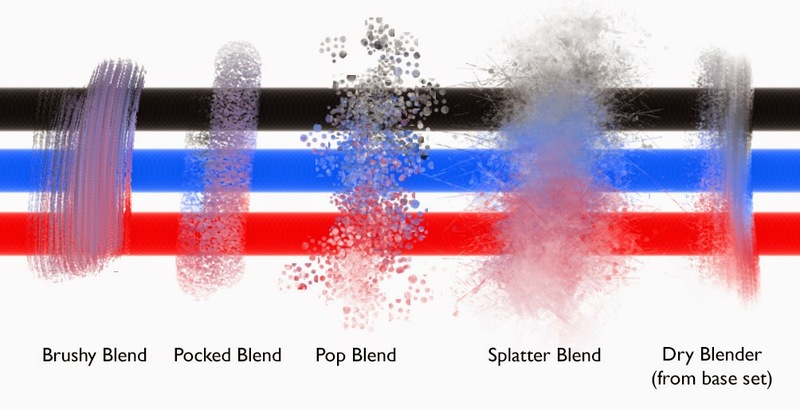 I have my two most used blending tools as part of the base set, but there are a bunch of other effects it's nice to have handy. This might be another set I load in when I start painting. I put both of these in the "other" category; they're both specialized for when I need leaves, ground cover, or other textural effects. I imagine as the set grows that I'll separate character elements (fur) from environment elements (clouds and trees), but right now there aren't too many to keep track of. The way I see it, if you like this system of organization, you could add your own tool sets of tech elements, particle effects, or whatever you like, without bogging down your UI or workflow with too many things all at once. Take what you want, delete what you don't, and have fun! 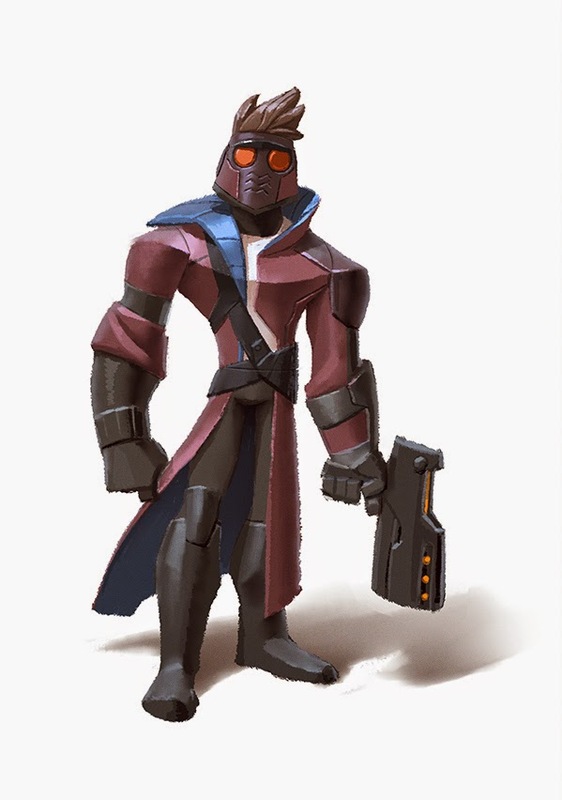 I was watching the Guardians of the Galaxy tonight and thought it was time to post these. 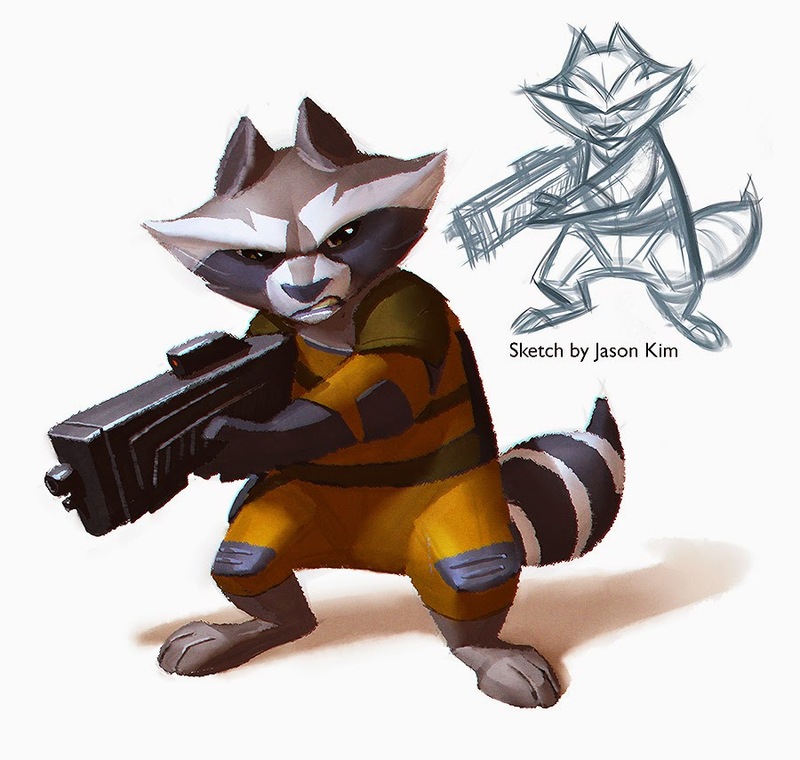 I didn't do a lot of concept for the Guardians, but I did at least one take on each character (except Rocket, where I just painted Jason's version). 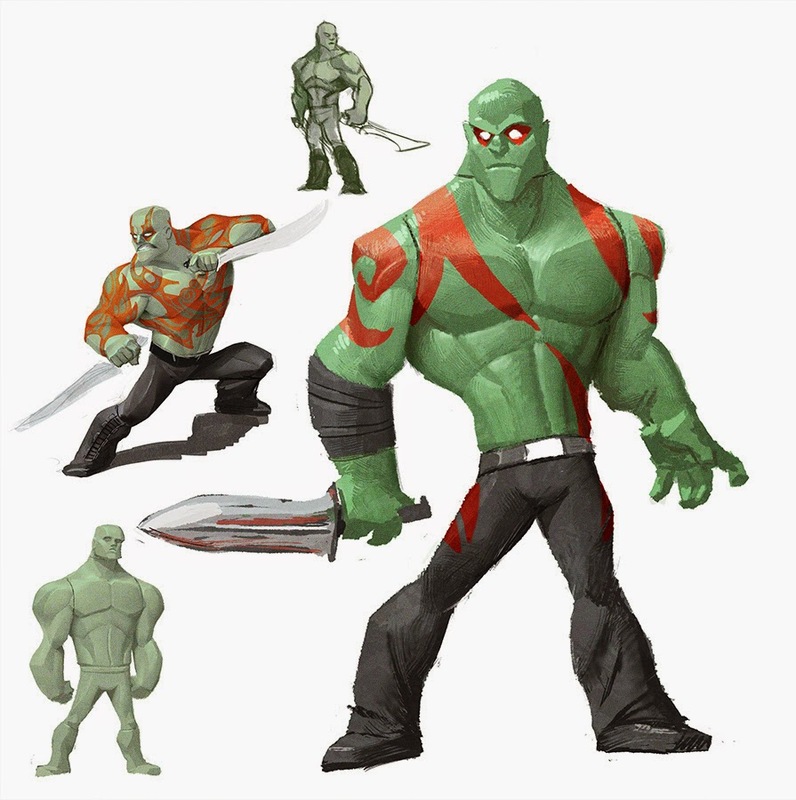 I did some work on Disney Infinity 3.0 before I left Avalanche to work at BYU, so I'm feeling pretty proud/happy seeing the stuff coming out about it. Here's a great video showing the toy design process, and introducing you to some of the Avalanche concept and modeling team (I miss you guys!) and there's a bit of art I did in there as well.